December is a busy month for most moms, but it’s even crazier when the mom is also a blogger. This time of year is filled with more projects and ideas than days in the month. That’s why I don’t feel ashamed taking a little help from the store now and then. 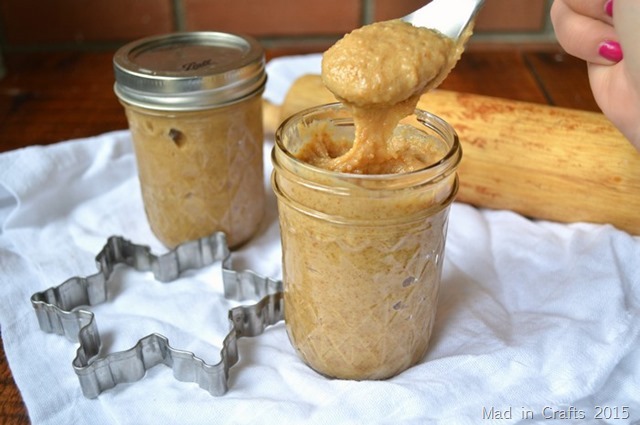 I got the idea to put a new spin on traditional cutout Christmas cookies by making them into creamy cookie butter. 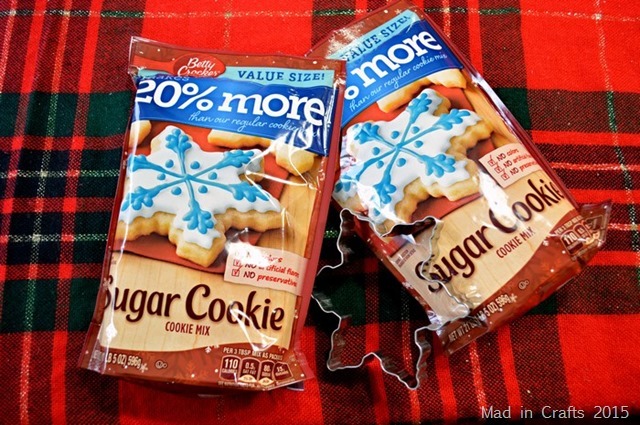 In order to save a little time, I picked up a few packages of Betty Crocker’s Sugar Cookie mix from Walmart. Bake up the cookies according to the direction on the package. Err on the side of overbaking, to make sure the cookies are nice and crisp. Then let the cookies cool completely before adding them and the other ingredients to the food processor. 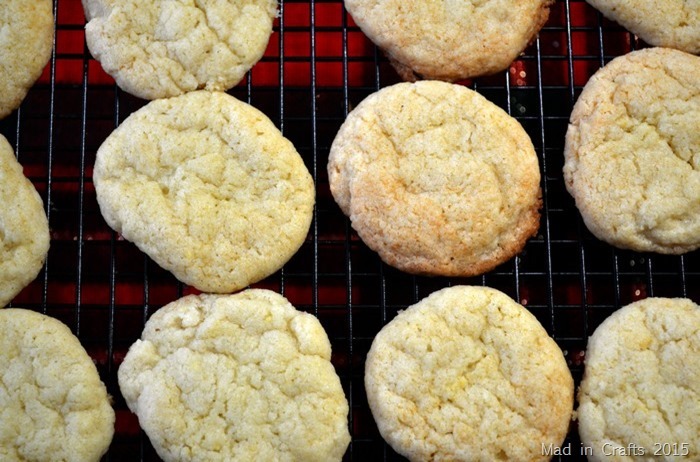 I found that using half of the cookies made from the value size mix equals about the 3 cups of crumbs you need for this recipe, which means you can double the recipe very easily. After all the ingredients are processed together, you will have creamy, irresistible cookie butter that is perfect on apples, pretzels, or a bare spoon. 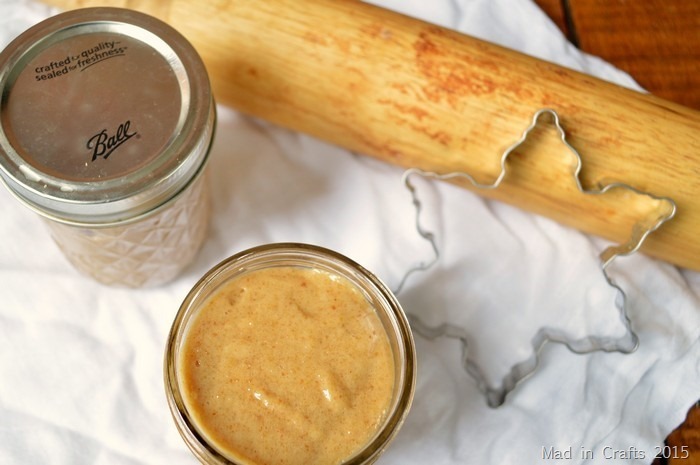 The recipe fills two 8-ounce mason jars or four 4-ounce jars for storage. The 4-ounce jars make perfect stocking stuffers or neighbor gifts. 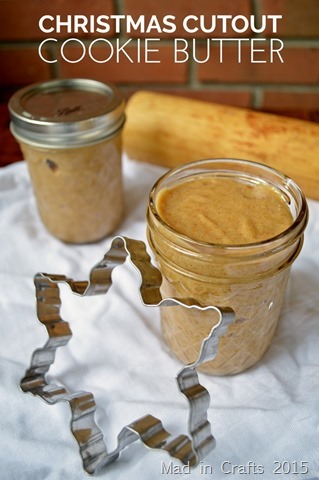 You can spread cheer with simple surprises like a jar of delicious cookie butter! How are you spreading cheer this holiday season? You can find a coupon for Betty Crocker mixes here.